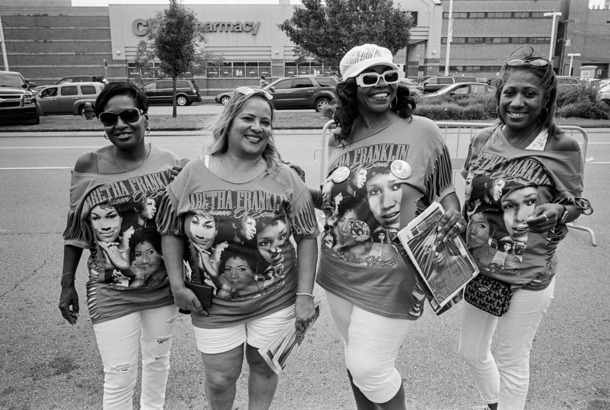 How Detroit Said Goodbye to ArethaScenes from Aretha Franklin’s funeral week. The Most Memorable Moments From Aretha Franklin’s FuneralOn Friday, the world paid tribute to the Queen of Soul. Women’s March Organizers Announce a Women’s Convention in DetroitThe convention will take place in October, ahead of the 2018 midterm elections. Marred by Controversy, Detroit Is Off to a Sluggish Start at the Box OfficeWas the movie hurt commercially by an intensifying backlash? Review: In Detroit, the Zero Dark Thirty Team Revisits TortureDirector Kathryn Bigelow induces a feeling of powerlessness in the viewer that’s beyond our capacity to imagine on our own. 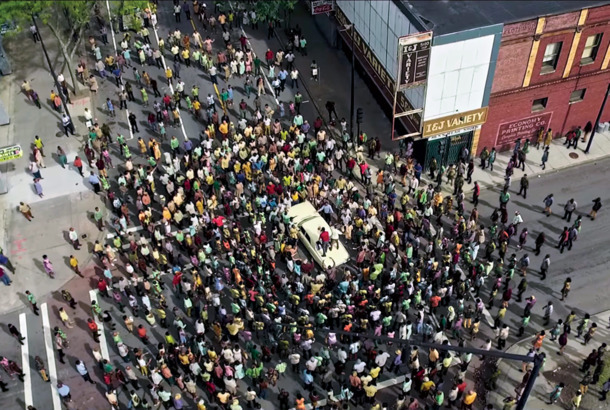 Why I Wrote DetroitMark Boal on the inspiration for his new movie about the 1967 Detroit riots. 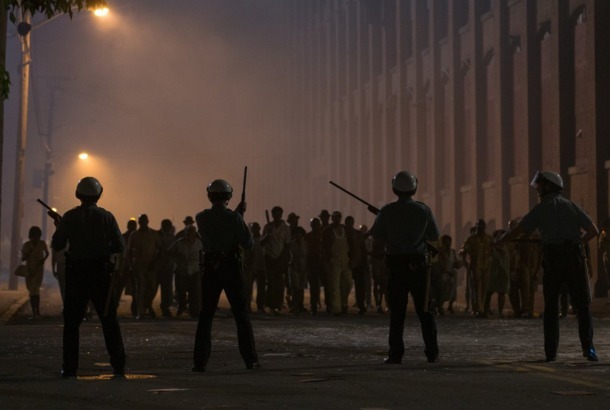 John Boyega Navigates the 1967 Riots in Kathryn Bigelow’s Detroit TrailerComing to theaters August 4. Inside Detroit’s Rapidly Growing Art-and-Design ScenePhotographer Michel Arnaud’s new book, Detroit: The Dream Is Now, captures the revitalization taking place in of one of America’s great cities. 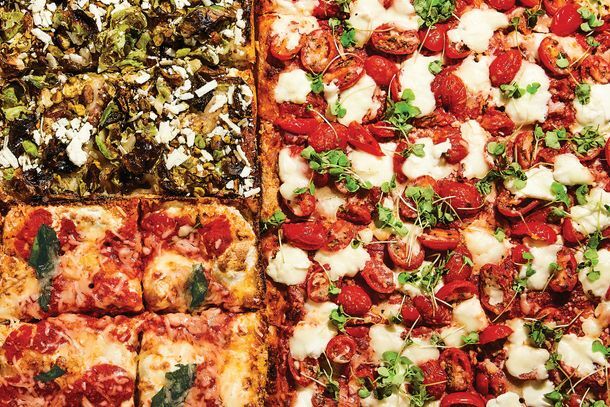 2017 Is the Year of the Square PizzaWith the arrival of Detroit-style and newfangled grandma and pizza al taglio, plain old Sicilian suddenly has company. World’s First Combination IHOP-Applebee’s Set to Open Next YearThe new mega-concept will open in downtown Detroit. Now Whole Foods Has to Deal With HepatitisAt least two people got ill after eating prepared foods at a Detroit store. Trump Successfully Reads Prepared Remarks at Black Detroit ChurchHe said he was there to listen and learn, then saw Ben Carson’s house and left. Trump Will Try Not to Be Himself During Interview With Black PastorThe Trump campaign has pre-written the candidate’s answers for his interview at a black church in Detroit this weekend. John Boyega Joins Bigelow’s Detroit Riots DramaThe drama is Bigelow’s first feature since Zero Dark Thirty. Kathryn Bigelow Is Making a Detroit Crime DramaSorry, Serial season 2 fans. Jack White Opened a Record Store in DetroitThankful. Someone Stole Papa John’s Beloved CamaroLuckily, Detroit police recovered it this morning. Motor City Represents in ‘Detroit vs. Everybody’Featuring Eminem, Big Sean, Danny Brown, Royce da 5’9”, Trick Trick, and Dej Loaf. 9 Artists on Why They Live in DetroitAfter 19 years in Brooklyn, Galapagos Art Space is moving to Detroit. This Restaurant That Pays $15 an Hour Is Killing It FinanciallyThey also happen to have really low turnover. Detroit Power Grid Goes Down, Leaving Much of the City in the DarkThe outage affected public buildings like schools, police departments, and jails. ‘I Was Not Going to Cower,’ Says Homeowner Who Fatally Shot Unarmed Teen54-year-old Theodore Wafer took the stand to describe the night he killed 19-year-old Renisha McBride. Trayvon in Detroit? A Renisha McBride Shooting ExplainerTheodore Wafer has been charged with murder. Detroit Doughnut Shop Will Honor Hip-Hop’s J DillaBeats, rhymes, and icing. Detroit Is Having Its Art Collection AppraisedHard to watch. How Detroit Really Is Like AmericaReflections on an urban tragedy. Detroit Is BankruptIt’s the largest city in U.S. history to file for bankruptcy. Who Says Detroit’s in Trouble?The motor city pioneers another vehicle: the hot-dog helicopter. Eating’s Effect on Aging; Homeless Teens Seek Cellphones Over FoodEating less may keep you young longer, which probably explains why we feel so ancient. Coney Dog Brings Detroit’s Favorite Chili Dogs to Sunset Blvd.And no, we don’t feel threatened by all this imported hot dog action. Where to Avoid Eating With The Insane Clown PosseWill Carney’s place n Violent J’s heart soon be replaced by Coney Dog? Chili Dogs and Faygo: Detroit Exiles Bringing Coney Dog to Sunset Blvd.We thought we had enough of transplants in our restaurant industry, but who isn’t rooting for Detroit?